Bruce W. Lytle grew up in Fargo, ND on land previously homesteaded by his grandfather in the 1920s. While he was growing up he remembers accompanying his physician father as he visited patients. He credits his father with instilling in him a strong work ethic and sense of responsibility. At Fargo Central High School, Lytle was an all-around athlete, playing football, basketball, track, and baseball. Competitive by nature, Lytle had innate leadership qualities that served him well as a football quarterback and team captain. During his undergraduate years at Stanford University, he excelled both in the classroom and on the athletic field. From Stanford, he went east to Harvard Medical School where the curriculum emphasized clinical exposure rather than research. During his clinical rotation at Harvard, he became “hooked” on the problems presented by patients and knew that he wanted to be involved in “problem-solving that had immediate results and impact” that medicine offered. During his residency at Massachusetts General Hospital (MGH), Dr. Lytle encountered the legendary Dr. Buckley who helped pioneer myocardial revascularization, intra-aortic balloon pumps, the surgical treatment of cardiogenic shock and mechanical complications of acute myocardial infarction, and the technique of deep hypothermia and hemodilution for the correction of congenital anomalies. 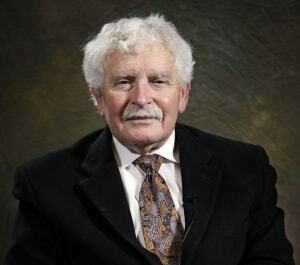 Upon completing his training at MGH in 1978, Lytle was offered a position by Dr. Floyd Loop as staff surgeon at the Cleveland Clinic where he remained for more than 35 years. While at the Cleveland Clinic, he was elected to the Board of Governors from 1992 through 1996. He became the chair of the Department of Thoracic and Cardiovascular Surgery in 2004 and the chair of the Sydell and Arnold Miller Family Heart and Vascular Institute in 2007, a position that he would hold until 2014. At the Cleveland Clinic, Dr. Loop told Dr. Lytle that he expected him to do research, author papers and perform surgery. To comply he authored over 400 articles to advance the understanding of the use of the left internal thoracic artery in coronary bypass surgery, reoperations on redo coronary bypass and redo valve procedures, retrograde cerebral perfusion for patients with bad atherosclerosis, axillary arterial cannulation, hypertrophic cardiomyopathy, and operations involving endocarditis. For Dr. Lytle, cardiac surgery has provided a great sense of purpose and a life that has had profound meaning. Despite his tireless commitment to his craft, he still makes time for his hobbies, which include, most notably, riding Harley-Davidson motorcycles with his friends. He is also an avid outdoorsman who enjoys hunting as well as fishing with the same high school friends from Fargo, ND, whom he credits with keeping him both humble and balanced. Davies SW, Hirsch BA, Hirsch BA, Lau CL, “Historical Perspectives of the American Association for Thoracic Surgery: Bruce W. Lytle, MD, Journal of Thoracic and Cardiovascular Surgery 2016;152(3): 651-654.